I always recommend the Vasa to visiting friends and to newer trail runners and cyclists. Offering a series of loops—3K, 5K, 10K, 25K—this trail system has its challenging sections as well as easier routes perfect for anyone intrigued with getting off the road and into nature for a solid workout or simply a rejuvenating escape. And while it’s going to be a little while longer before the trails are completely clear of snow, spring’s awakening is stunning when you’re walking, running, and cycling alongside budding branches and a forest floor bursting with trillium. 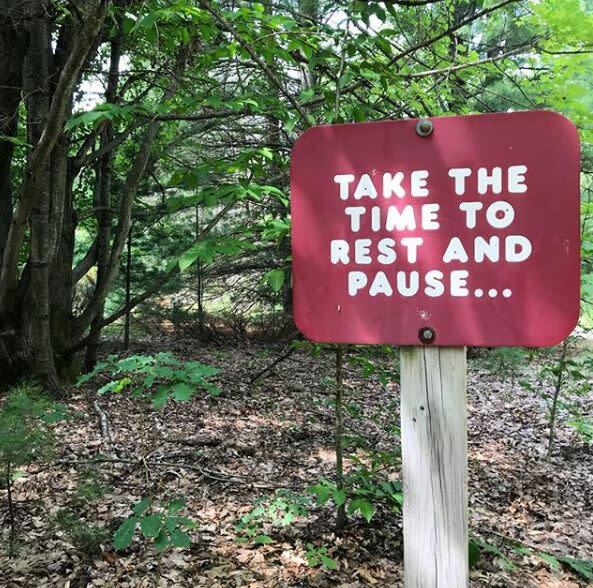 “I’m too nervous to run on the trails,” more than one person has shared with me when we get talking about leaving the roads to run. I can understand their concerns. I’ve tripped on tree roots, lost my footing on gravel-laden declines, battled bugs (while kicking myself for forgetting to douse myself with repellent beforehand), and realized while in the middle of the woods and far from home that I really could use more fuel and water to get me through. And yet, I also encourage anyone I can to give it a try, to get out there and experience an entirely different and challenging running or biking experience. It’s a break from the noise of everyday life and from the sometimes seemingly relentless chatter and to-do’s in our heads. ● Try starting at the Supply Road trailhead. 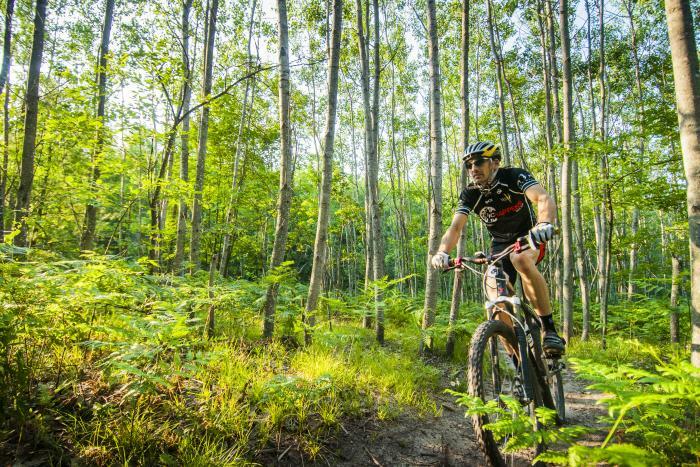 There is a fantastic 3-mile loop of single track for beginner bikers. ● Check out the Bartlett Road trailhead for a wide path and various terrain for runners and bikers. A small “pump track” off the parking lot is great for more adventurous bikers. ● Be aware of runners and riders going both ways on the trails. ● The single track bike trail off of Supply Road is mainly flat, so don’t be intimidated and it is a one-way trail with cut-offs as well. Learn more about the Vasa and view trail maps here. Additional resources about getting outside in Traverse City are below.